Roofing in Rochester NY is one of the most expensive home improvements but also the single most important aspect of protecting you and your family from harsh Rochester weather conditions. Being sheltered and safe in your home would be impossible without a proven, quality roof over your head. When interviewing roofing contractors in Rochester NY carefully review all materials, information, credentials and warranties presented to you not just the cost. Hiring a roofer in Rochester can be frustrating at times. Leaving messages that never get returned, blocking off time in your personal schedule just to have a no-show and then sorting through all of the conflicting estimates that you don’t fully understand, when you finally get the 3 roofing estimates. A live representative of the roofing company in Rochester to call or return your call promptly. At Ron Ferris and Son you deal directly with the owners. 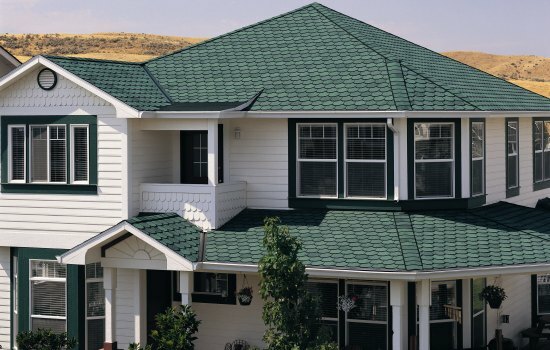 Honesty and credentials – You should always feel comfortable that the roofer in Rochester NY that you have chosen will provide you with only the best materials and install them as if they were being installed on his won home. Ask for local references of satisfied customers. A reputable Rochester NY roofing company should be in good standings with credit accounts and local wholesale suppliers and should never request a deposit to buy roofing materials. A roofing specialist who inspects the roof physically and the roof deck, usually from the attic or crawlspace. This can let us know if any wood is damaged from roof leaks or if there is any mold or mildew from improper installation. One who can speak in great detail about you current roofing situation is, and what the most viable, cost effective solution is. A Rochester roofing crew supervisor and in-house certified roofers, not subcontractors, at Ron Ferris and Son one owner supervises every roofing job, we are committed to seeing the job through and inspect every aspect of the installation process. A roofing contractor is Rochester NY whose local reputation is long standing and excellent. One whose installers are required as well as the owners to be educated, tested and factory certified by shingle manufacturers. Look for a company with an A+ rating from the BBB. A roofing company in Rochester NY who has been thoroughly trained and understands the flow and movement of water under varied conditions, such as roof design or pith. They should also have a thorough understanding of low/flat slope roofing and the movement of water or low slope or flat roofs in Rochester NY. A company that has been in the same place for a long time and one that shows prospect to be around at least as long as the projected life of your new roof. At Ron Ferris and Son we have been roofing in Rochester NY since 1979. We are family owned and operated with the third generation continuing to enforce our mission of quality not quantity. We understand that the roof replacement we are performing today, will dictate whether or not we will be chosen to work for your friends, family, and neighbors. This drives us to deliver only the finest quality of materials, with master craftsmanship to back it up. Try our roofing services and experience complete customer satisfaction! Call the professionals today at 585-750-6757 or request a free estimate online and we will assess the best option to suit your specific roofing needs! It is important to remove snow and ice from your roof, as even the strongest roofs can develop structural problems and form leaks from snow damage. The main problem that occurs is when the snow melts and re-freezes, resulting in more weight from the ice that forms. If this happens too often without getting shoveled you could develop a roof leak or worse yet, structural damage. The first thing to take into consideration is safety. Before climbing up onto your roof you must first evaluate the situation. A steep roof may not be safe to walk on, try to find a flat stable area. To further ensure your safety, call a roofing professional in Rochester NY. Avoid damage to your roof. When you start to shovel you are going to want to shovel gently to avoid damaging the roof’s surface coating. Be sure to use a lightweight, telescoping “roof rake.” This will make your job much easier. Shovel down to about an inch within the roofs surface. If you have ice dams, you can chop channels to relieve melting snow above, but be careful not to chop too deep and damage the surface of your roof. This type of practice should be left only to a roofing company in Rochester NY. Be sure to watch for people, shrubs, and vehicles when shoveling, to avoid harming them. Once the snow and ice dams are cleared from your roof, carefully make your way back to the ladder and make your way back to the ground. Removing snow from your roof can be a very dangerous task, so if you do not feel comfortable doing so please give us a call! Personal safety is important and some of your best tools are good judgment and common sense. At Ron Ferris and Son, one of our roofing services in Rochester is roof shoveling and ice removal. We have a standard method we use to clean snow along roof eaves to prevent ice dams and leaking. This usually involves clearing the first 3-6 feet along the bottom eaves and in valleys or around roof dormers. If necessary we will also chop channels in ice dams if they have already formed, but by then it is sometimes too late. Most insurance companies will tell you to clear any snow measuring 6” or more and most roofing manufactures suggest clearing anything over 2-3 inches. Ice damming can occur fast and within a matter of a few days a home’s roof deck, insulation and interior can sustain water damage. So call the professionals today at 585-750-6757 or request a free estimate online and we will assess the best option to suit your specific roofing needs! If you are using the same roof decking, carefully inspect each and every square foot for leftover debris, nails, and be sure that all decking is still properly fastened, if not re-nail existing decking to prevent future damage to shingles or underlayment’s. After that we suggest to apply 6 feet of ice and water shield on all eaves, dormers, and valleys. We also suggest installing 12 inches of pre-bent aluminum in all of the valleys to prevent those areas from wearing out before your new roof does! At Ron Ferris and Son we would then cover the rest of the exposed roofing deck with a synthetic-scrim reinforced felt. If you are doing this on your own is sure to pull this felt as tight as possible. Also remember to overlap all length seems 3” and lay seems 6” on ice water shield and synthetic felts. At this point you can apply the metal drip edge around all the eaves and outside roof edges. You may want to cut your hole for your ridge vent at this point because you have the added “walkability” of the synthetic felt, and won’t get sawdust on your new roofing shingles. You can now proceed to install your “starter shingle” course to the bottom eave but make sure to offset the seams of the starter shingle and the first course of your roofing shingles. You can now apply your chosen asphalt roofing shingles following the shingle manufacturer’s installation instructions. We recommend 6 nails per shingle, not 4, to increase wind resistance. Next install your ridge caps and attic ventilation system and with adequate intake at your soffits. You now have a properly balanced, complete roofing system! If this process sounds overwhelming, call us! We are Rochester’s roofing specialists. We will be more than happy to provide you with a free roofing ventilation assessment. One of our owners will guide and educate you every step of the way, from estimation to installation, the pros at Ron Ferris and Son have all your roofing services in Rochester NY covered! From there you should consider getting estimated from certified, insured roofing companies. Many roofing contractors in Rochester will provide a free estimate for their services. Be careful to evaluate contractors thoroughly. They must be; certified roofers, insured roofers, Master Shingle Applicators, and provide lifetime warranties with algae protection. Also make sure to ask for proof of workers comp/liability insurance as well as past customer references. Be sure to check reviews and use a BBB, BCB A+ rated contractor. Be sure to evenly compare materials to be used and limits of warranty. Our lifetime transferable warranties are a 50 year non-prorated warranty covering all materials, old roofing tear off, re-roofing, and the cost of disposal. Many manufacturer warranties only cover the cost of materials. 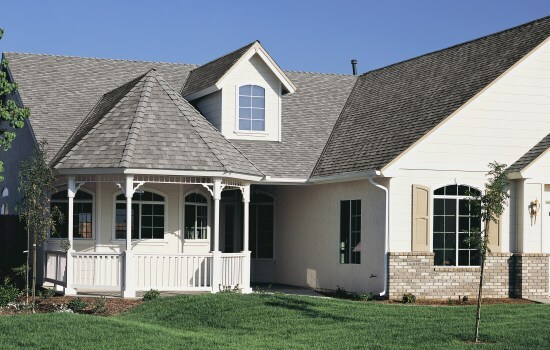 This warranty can only be provided by a Shingle Master Company whose workforce is made up of Master Shingle Applicators and have performed comprehensive training and testing programs through CertainTeed. Our Integrity Roofing System is built around an asphalt composition designer shingle weighing in at a class leading 240lbs per square. That is 50lbs heavier than GAF Timberline. More weight per square means more granules and asphalt which equals better, longer lasting protection for your home. As with anything, higher quality is probably going to warrant a slightly higher installation fee. Do not focus your attention only on the cost, but the quality of your new lifetime roofing system. “Cheap is never good and good is never cheap” is easily forgotten as a home improvement as expensive as a new roof in Rochester NY. The value and beauty of a quality roof installation will last long after the cost factor has been forgotten. Are you ready for only the best quality roofing components installed by factory trained applicators and protection with a 50 year transferable, non-prorated warranty? Then call the pros at Ron Ferris and Son! One of our owners will personally guide you from estimation to installation to ensure a worry-free roof replacement in Rochester NY! Call the professionals today at 585-750-6757 or request a free estimate online and we will assess the best option to suit your specific roofing needs! It is important to remove snow and ice from your roof, as even the strongest roofs can develop structural problems and form leaks from snow damage. The main problem that occurs is when the snow melts and re-freezes, resulting in more weight from the ice that forms. If this happens too often without getting shoveled you could develop a roof leak or worse yet, structural damage. The first thing to take into consideration is safety. Before climbing up onto your roof you must first evaluate the situation. A steep roof may not be safe to walk on, try to find a flat stable area. To further ensure your safety, call aroofing professional in Rochester NY. Most people do not think you can install roofing during the winter months. Actually the truth is you can install roofing year-round. This was not true with shingles before the 1970’s because shingles were “organic” which had a saturated asphalt paper type material. The matting is substrate covered with asphalt with stone dust and small colored rock granules. Today’s Roofers in Rochester NY use shingles that are made with fiberglass matting which is saturated with asphalt and the colored stone granules are then pressed into the asphalt. This fiberglass matting is much more pliable and gives the shingle much more flexibility and tensile strength. The most important part of winter or any season installation is the nailing. We use 6 nails per shingle not 4 like more Rochester roofing contractors. This increases your new roofs wind resistance. 1. Forming & handling shingles – Asphalt shingles become very hard in cold weather, so we store shingles in a warm location until installation. 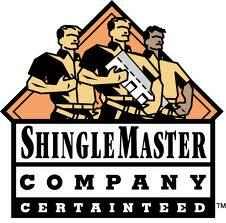 This is necessary because cold shingles can “crack” when applying to closed valleys, hips or ridges. 2. Applying waterproofing underlayment – will not stick to a wet or frozen deck – make sure deck is clean and dry. If installation cannot wait until ambient temperature is 40 degrees, make sure to use a heat gun on all seams and at eave edges. This is what we do, and will help prevent leads due to ice dams. 3. Fastening in old weather – It is difficult to regulate proper pressure on air compressors in cold weather. For this reason reputable roofers in Rochester NY will hand-nail when temperatures drop. Hand-nailing reduces the chance for nails being driven completely through cold, brittle shingles. 4. Storm –nailing – If weather conditions are as such that sealing may not occur prior to a significant wind storm, then it is recommended that the shingles be nailed using a “step slope nailing technique” of 6 nails per shingle. This is common practice YEAR-ROUND at RFS! Some of our applicators even like installing roofing in the winter more because of the heat they take in the summer. Remember, you do not have to wait until spring to install your new roof! We sometimes install almost as much roofing in Rochester NY in the winter as we do in the summer! We even have packages for snow removal. If your roofing project can’t wait until the spring call the pros at Ron Ferris and Son! To get your new roof installation in the winter call Ron Ferris and Son at 585-750-6757 or request a free estimate online and we will assess the best option to suit your specific roofing needs!